Soft-Touch Therapy Wedge 4" x 20" x 22"
Soft-Touch Therapy Wedge 6" x 20" x 22"
Soft-Touch Therapy Wedge 8" x 20" x 22"
Soft-Touch Therapy Wedge 6" x 24" x 28"
Soft-Touch Therapy Wedge 8" x 24" x 28"
Special Tomato Soft-Touch Liners were developed to add seating support to your child's seating experience. The soft-to-the-touch material is latex-free and impermeable to fluids. 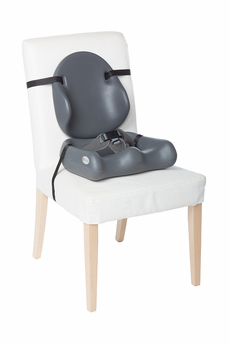 The Liners can be attached to most chairs with the attachment strap. The contoured seat and back and built in abductor add support for your child while they are sitting in a classroom chair, dining chair or restaurant chair. Why is the Special Tomato® Soft-Touch® Liners Perfect for Your Child?